Tuning in to the Spotify story, Tosin Agbabiaka, an early stage investor at Octopus Ventures, lines up the Who, What, Where and When of US expansion for European companies. Before deciding to scale a business in the US, a European B2C company must answer one crucial question: is the fit right? Product/market fit (PMF) demands evidence before action and Spotify’s Europe-to-US journey contains some helpful lessons. Why Does Product/Market Fit Matter to a US Expansion Plan? Identifying PMF can feel like guesswork. Entrepreneurs in their home markets are encouraged to “fail early and often” and “build-measure-learn”, deferring PMF concerns until after entering the market. An operator armed with little more than local knowledge might still achieve success in Europe, but the US market is a different beast. Failure here will be costly and near-certain without hard PMF evidence. So how does determining PMF play out practically? Spotify streaming music service provides a model of successful expansion of a European company to the US, right through to its recent IPO. However, the twists and turns of its US expansion journey suggest that asking the hard questions first is critical to any company considering a similar leap. Linking product to market begins with asking the most important stakeholder: the customer. Customer Preferences: How do US customer preferences vary from those at home? Is my customer’s behavior in alignment with her preferences? Customer Acquisition: What is the CAC in the target market? What is my predicted ROI? The Competition: How saturated is the market? Who are the domestic and foreign alternatives? What is my competitive advantage? Support Stakeholders: What other stakeholders are essential to the delivery of the product’s value to the customer? (vendors, distributors, partner organizations, funders, etc.)? What will developing these necessary relationships entail? In Spotify’s case, customer demand for a US version was evident. European adoption had been explosive and soon after, there were “breathless blogs and fansites dedicated to discussing the service’s US potential.” But even this demonstrable demand — and growing knowledge of US music listener preferences — was insufficient in justifying a US move. Spotify’s business model relied on securing the music rights held by the major US record labels. This would require building the right relationships within the US music industry. The company’s decision to expand ultimately hinged on the reality of securing these relationships and aligning them with their knowledge of customer preference. The Inherent Value of the Product: What element of my product has been essential to success in my home market, and what value does the customer extract from the product? Would this value address the customer’s need in the US? The Product Features: What features worked in my home market? What features are context-specific and would need to be revised for the US? The Product Economics: What are my projected costs, revenues, and breakeven point in the US? What new revenue-generating opportunities exist in the US? Though Spotify’s sweet sauce — free, legal access to tons of music — was indispensable, it made negotiations with US record labels particularly slow and challenging. Critics within and outside the labels expressed skepticism at the company’s ability to convert free users to premium users under its “freemium” model. To assuage the labels concerns, the company tweaked its model for the US, introducing a mid-tier premium customer category and several new features based on US listener preferences. Regional Market Opportunity: Which regional markets in the US best optimize ease of access, speed of product adoption, profitability, and sustainability? Locational Restrictions: What US restrictions (legal and regulatory) for producing, marketing, distributing, and selling my product exist? How can I surmount them? Distribution Outlets: Through what media could I develop customer interest in my product? Where could I best sell my product to my target customer? Acquiring licensing rights in the US did not require regional relationships, but Spotify did need to map out alliances with regional advertisers — yet another subset of customers. In so doing, the company developed new revenue streams by delivering ads filled with local content to “free users” based on their locations. Thus Spotify’s regional strategy helped it retain its crucial freemium model and justify its expansion plan. Developing Demand: How long does my target US customer need to be educated about my product? How long do customers take to adopt novel offerings in the target market? Timing the Market: At what stage is the US market for my product? Expansion, contraction or stagnancy? In what development stage is necessary partner technology/infrastructure? Building Necessary Partnerships: How long would it take to build essential partnerships? When do these relationships need to be developed relative to my market entry? Perhaps because Spotify took two and a half years to prepare and launch in the US, demand for its product was at fever-pitch when it launched. Notably, the company entered at a time of uncertainty in the US industry: physical album sales numbers had been falling dramatically, and streaming competitors like Rdio had failed to capture popular demand. 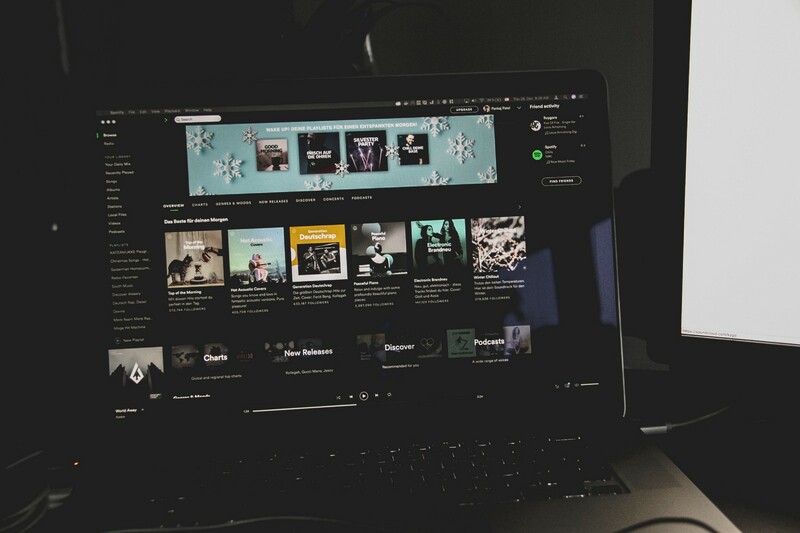 The industry climate, hype around Spotify’s product, and the minimal effort needed for customers to test the free product accelerated the time between market entry and mass adoption in the US. Spotify’s expansion was music to the ears of a US industry begging for a well-executed streaming service. Ultimately, the decision to expand your company to the US is as much an art as a science, best informed by gaining answers to these crucial questions. Decisions and appropriate action — or inaction — follow naturally. Next come the questions of “How”. Then — and at regular intervals after expansion — a company should continue to assess PMF. Nothing remains the same: the market, and your product, is constantly evolving.